This gnome has evolved from a hand-moulded clay sculpture by the renowned Swedish ceramist. 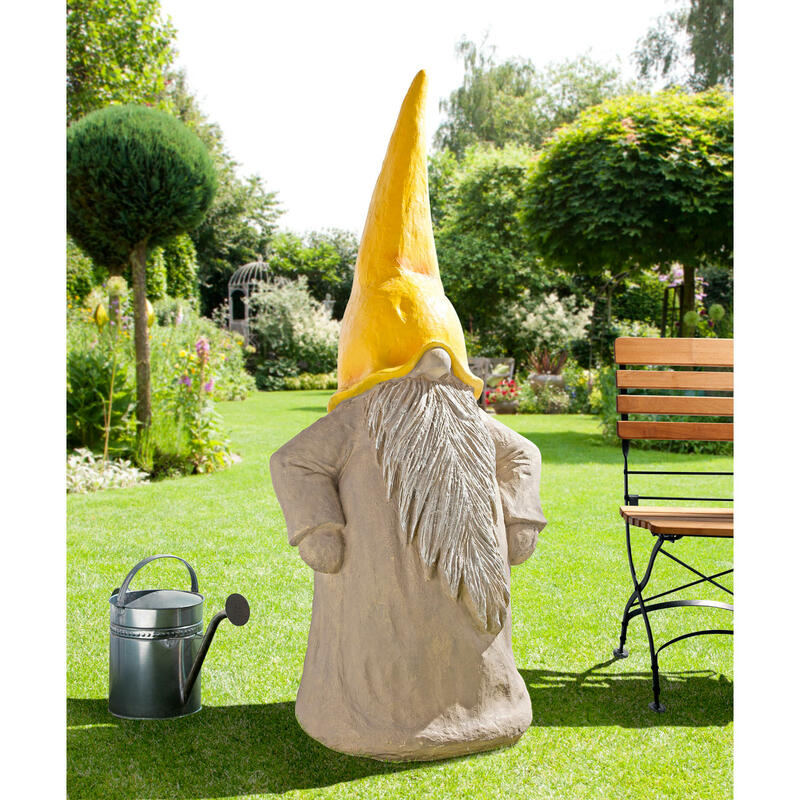 Individually designed and hand-painted with oil colours, each tomte is unique. 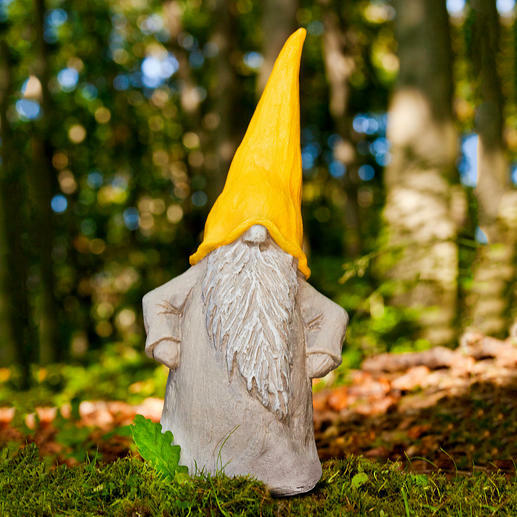 Faux stone polyresin lends the goblin a resolute manly appearance – resistant to rain, heat and even frost (-20°C to +40°C). Now also available as a charming giant gnome. 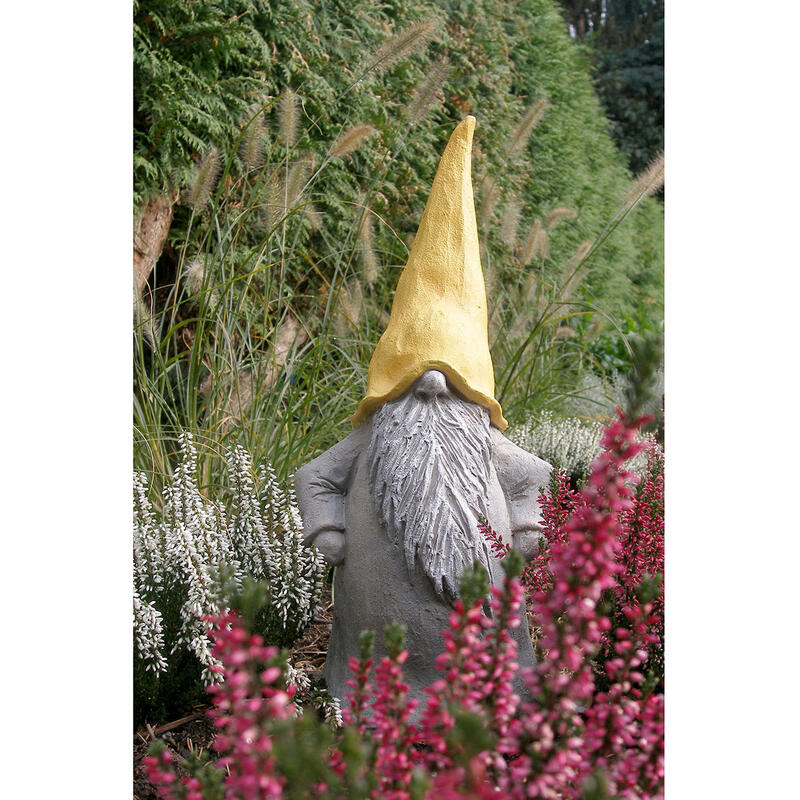 Garden art to make you smile: A tomte pixie from Swedish designer Ruth Vetter. Each one unique – hand-finished and hand-painted. Made of faux stone weatherproof polyresin. The tomte (a mythical creature of Scandinavian folklore) has been Sweden’s lucky troll since ancient times. A tomte protects the occupants and animals on every farm. Once he reappears after the snow has melted, his tall, yellow hat will shine like a flower emerging from a thick forest of grass, flowerbed or the moss in your flowerpot. The tomte is only recognisable at second glance; his hat has slipped over his face and only his large nose and beard are to be seen peeping out. No wonder this funny man has his hands on his hips – and brings a smile to the face of every onlooker. Ruth Vetter is best known for her original sculptures based on the Swedish world of animals and mythology. 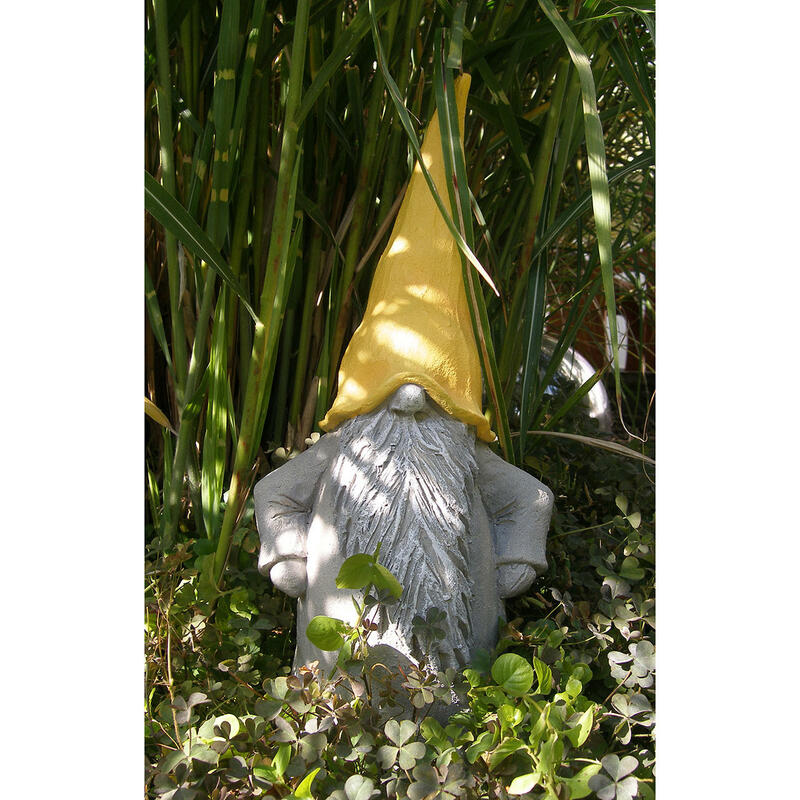 Only when the artist has approved the true-to-original cast of the tomte figure are its descendants manufactured from durable polyresin using the casting mould. Intricate craftsmanship may lead to slight variations in colour shades and individual details on the beard and cloak. No two figures are exactly the same – each has its own unique character. Simply wipe clean with a damp cloth. Also makes a perfect gift. Made from the same materials as the garden gnome. Measures 1.50m (4ft9") in height, approx. 56cm (22") in width. Weight approx. 25kg (55 lbs). Exclusive to Pro-Idee.